Another interesting and refreshing writeup! His acute observation still stands today. Thanks, Say Keng! Great quote. I need to check out his work. I teach adult ESL. The students are extremely engaged. The quality of life for themselves and their families depends on learning this new language. In spite of jacked up engagement less than 1% graduate fluent in English or confident having a conversation with a stranger. In the case of ESL, we are just teaching it wrong. We take students’ time and money, call it education and utterly fail them. The icing on the cake is letting students believe the failure is theirs not ours. This travesty will not survive the transparency the internet provides today. I do not see your point. if students are not motivated and thus do not make improvement, it is your fault. Excellent point, Judy. I couldn’t agree more. Just because you’re engaged doesn’t mean you’re learning, and just because you’re teaching doesn’t mean you’re educating. What we need is a better understanding of engagement. This post provides some tantalising insights and hints but we need more than that for the results that Judy talks about in her comments to become a thing of the past. We are far more capable than we give ourselves or our students credit for. To a large degree we could transform the results, once we went about it in ways that utilise the incomparable powers that we all have, instead of asking our learners to learn in ways that patently don’t work for the vast majority. Engagement, as I define it, is not the same as interest. I have been working on definition for a while as I believe it is the best word we have to describe the state that effective learners are in when they are “really” learning. The state which teachers intuitively recognise but have not been trained (the vast majority that is) to be able to consistently replicate in themselves or their students. Just consider the state that person gets in to when they are playing a video game, or the state of full attention and absorption we can all find ourselves in when we are learning something and actually enjoying the process…even though it might not be an entirely comfortable process. Engagement requires that the learner is able to find something there that is of value to them. The value might be not seen to the outsider, but the learner is “there”, fully attentive and following what is going on. They participate as they see fit. The outcome of the attention and activity is learning. The kind of learning which leads to a growth in confidence. (A good example might be for some learning to dance! 🙂 ) This IS a key. Without a growth in confidence, I believe “the learning” has not been fully integrated by the person and is in fact divorced from who they are as a person. This can be seen by people who seem to know a lot but when push comes to shove they cannot produce. “Engagement requires that the learner is able to find something there that is of value to them. The value might be not seen to the outsider, but the learner is “there”, fully attentive and following what is going on. They participate as they see fit.”….I completely agree with this statement. The cardinal rule of engagement is, we should understand first why students are enrolling in the courses we teach. Many may have enrolled for reasons other than increasing their knowledge- so the question is how you engage them- the uninterested enrolled students- who only wants to get a passing grade- nothing else. yes, it is important to know in advance whey they did come to the course. Thanks Saga, a really interesting approach. Interesting read, although I do not necessarily agree with all that is written. After reading the article, I do not believe that all the ” commonly held beliefs” were debunked. Interesting article to get the juices flowing. What exactly is engagement? By whom, for whom? I like Andrews discussion that “Engagement requires that the learner is able to find something of value to them. The value may not be seen to the outsider………..” So it has to have value to be of value to the person which is one of the reasons employee engagement is being advocated in Organisations. An engaged employee is more satisfied and thus produces more. Yet the Organisation or teachers method of engagement may not get the message across as desired. Interesting article that offers a different perspective. A very interesting article that may well burst some of the myths! A very good article and a valuable checklist for generating enthusiasm in the classroom. Interesting point that Group Discussions do not necessarily increase engagement. Very interesting and informative. I greatly appreciate these insights. I like to concept of learning communities and various avenues for student teacher engagement. I find this article very interesting as it clarifies a lot of misconceptions about student engagement and affirms some practises in engaging students. Learning how to crack some jokes worked well in my class to engage my students and to enliven the class discussion especially if I have given lengthy lectures. It is true that a graded participation/attendance does not always promote student engagement. When I demonstrate interest and active listening on students’ ideas and relevant experiences, I observe them to be more consistent in their attendance and class participation. Interesting article, particularly the concept that smaller groups do not necessarily increase engagement. 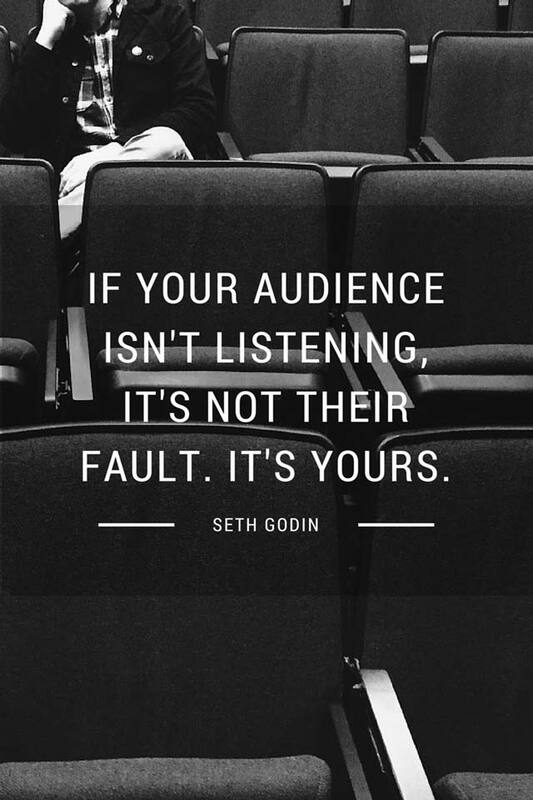 Your audience definitely feeds off of the energy of the Facilitator. Your own interest and passion for the topics may capture their interest. Once the engagement is there, then the lesson must be meaningful to them. Creating the environment is critical to their knowledge absorption and transfer. I believe that building a good relationship with students also help them to be engaged as they perceive that their lecturer is also concern about them and not only dispensing head knowledge. When I say relationship, it means it is based on good learning-teaching partnership that is based on mutual trust. I fully agree with you; in fact one of the things I practice is setting up a group chat on WhatsApps. I have found students learning from each other and I am able to achieve a high level critical thinking from them…just amazing how much engagement and interaction, communication and learning emanates from this group. Good Article! Need to further look at the author’s work, as some very real and interesting views were expressed. I’ve been able to keep my students engaged by continuous interaction during class through various methods. Information sharing from various walks of life relating to textbook theory has proven to be exilarating and literally an eye opener for long hours. Interesting article; really enlightening also! While I agree with most of the perspectives of the author, I don’t fully agree with his views on group discussions. From my experience of having a class of 53 as against 23, I discovered greater group engagement with the smaller group. it is my believe that there is greater synergy with smaller groups and trust builds faster which heavily impacts the group learning. Absolutely enjoyed the article. It was very enlightening and allowed me to reflect on the student engagement practices I have adopted. Having a high energy level throughout as a facilitator helps to improve the engagement level and keeps the focus on the subjected topic more.Relevance to the student and making the example applicable and from everyday life helps the internalization process and with the students attentions levels. Very good article. Interesting views. Vey enlightening. I am particularly by the suggestion of Learning of learning communities as an approach for enhancing engagement and reducing disaffection in participants. A supportive Learning environment requires inclusion of approaches that will cause students to participate and feel that they energised by new learning. Very thorough article. A good read. Quite interesting and informative! Suggestions noted particularly in the pop-quiz and group interaction. Engagement is key. What works for me is quizzing with rewards. I make it competitive and use snacks as the prizes. There is a need to factor analyse before all this becomes conclusive. The article has given further meaning to a personal practice and belief that I have held for so long. I always advise students to form discussion groups to meet at regular intervals to discuss lessons that are taught by their professors in the classroom. My belief is that students get to learn and absorb better when they learn with their peers because of the commonalities they share. This notion is captured by the principle of the “learning communities ” concept. Great Article! Engagement part is really interesting. This was an eye-opening experience. Engagement is a critical part of teaching. It can be said most times it is taken for granted. Once students are engaged it builds their confidence. Sometimes it seems more difficult to engage a class of five students, rather than a class of twenty-five. These tips should help with that. Thanks! I agree that engagement is a critical component of learning but it needs to be culturally appropriate and must take the age of the learner into consideration. This view is based on my experiences as both a secondary school teacher teaching teenagers and a final project supervisor at the MBA level interacting with adult learners. More importantly my country of Trinidad and Tobago is multi-cultural.